For the year since a general election on 13 June 2010, Belgium has had no official government. As coalition negotiations have dragged on, the country has had to make do with a caretaker prime minister and cabinet. How long can it continue? 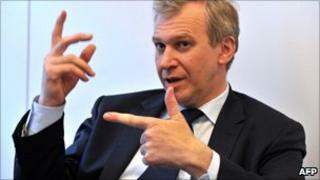 Belgian Prime Minister Yves Leterme resigned in April last year, but he is still turning up for work. In fact, by mid-August he will have been a caretaker prime minister for longer than he was an elected leader with a mandate to govern. This may sound odd - Belgium is after all the home of surrealism - but the oddest thing is that, after one year, there is no solution on the horizon. Belgians proudly claimed the world record in February, for the country that has spent longest without a government. A website counted down to the day - 17 February - when the title would be taken from Iraq, which took 289 days to form a government in 2009. The site now proclaims: "Yes, Belgians, we did it!" Other sources suggest that the record was in fact held by Cambodia, which took 353 days to form a government after elections in 2003. Belgium swept past this figure on 1 June. "Technically this can last until the next federal election has to be called in 2014," says political scientist Dave Sinardet. "Let's say we have elections in 2014 and we have some problem forming a coalition, this caretaker government could still go on after that. As long as it commands a majority in parliament the only obstacle to it continuing would be the fear of absurdity." Few in Belgium believe that calling new elections now would help. The problem has arisen because of the deep divisions between the Dutch-speaking (Flemish) and French-speaking halves of the population, and the lack of any truly national parties. The fruitless coalition negotiations over the last year have centred on Flemish demands for further devolution of powers from central government, which has been both frustrating and boring for ordinary voters. "What you see is impatience, but more a general lack of interest. People are tired of the whole business, especially so far as the institutional part of it is concerned," says De Standaard journalist Marc Reynebeau. "People have been talking about the same subject over and over again, repeating the same phrases. It makes people very tired. It strengthens the alienation of the citizen from the political elite." A new election, he argues, would produce the same result as last year, or the more populist parties might even gain ground. Despite the laughs some Belgians have had about the new record, many appear uneasy about it. "It's not the kind of record one wants to set. If people are having fun with it, it is to hide their embarrassment," Marc Reynebeau says. In January thousands of people turned out to demonstrate against the failure to form a coalition. Recent attempts to mobilise protests have flopped, though, prompting some to conclude that anger has turned to resignation. But in a recent GfK poll 57% of Belgian respondents listed the political situation as their most important worry - a figure far higher than in other European countries. There is very little legal underpinning for a long-term caretaker government in the Belgian constitution. The general understanding is that officials can take urgently needed action, or continue implementing the policies of the previous government. The big question is whether this caretaker government will embark on the long-term reform of public finances that most parties agree is necessary, in order to start slashing Belgium's massive debt - the third highest in the EU. Flemish Christian Democrat leader Wouter Beke appointed as "negotiator"
On a day-to-day basis, though, Belgium is ticking along nicely. Its economy is growing, exports are up, inward foreign investment has continued, the country's presidency of the European Union in 2010 was deemed a success, and it has contributed to the Nato bombing of Libya. This is partly because the caretakers and their civil servants are efficient managers, but also because many powers have already been devolved to Belgium's regional governments and linguistic communities - not to mention the pooling of sovereignty with other members of the eurozone and European Union. "We have a new form of government, a new form of democracy, proving to the world that this crazy idea that you need full government with full powers may be just not true," says Dave Sinardet, a professor at Antwerp University and the Free University of Brussels, with a heavy dose of irony. Marc Reynebeau says a new general election may be called in the autumn, or next year at the same time as local elections. But another possibility, he says, might be for parliament to start exercising more initiative and for the caretaker government to assume new powers. That way he could see it lasting at least another year. "You may know when you will become prime minister," he says. "But these days you never know when you will be kicked out."